Manchester United winger, Alexis Sanchez, wishes to win the Champions League with the Red Devils as they prepare to take on Paris Saint-Germain in the last-16. The Chilean missed out on European glory during his time at Barcelona, who won the title in 2011 — prior to his arrival from Udinese — and again in 2015, just after he left for Premier League side Arsenal. "I hope I can win it one day and why not here?" 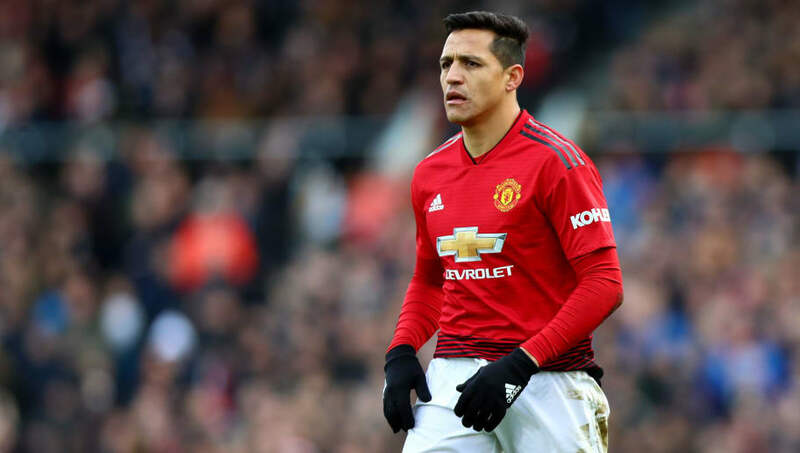 Sanchez, who is looking to turn the corner under interim manager Ole Gunnar Solskjaer, is hopeful about ending his Champions League drought with his current club. "The Champions League is a dream for any footballer," Sanchez told the Mirror ahead of Tuesday's first leg against PSG in Manchester, as quoted by ​Goal. "I lived with that dream at Barcelona and saw what it was like. I hope I can win it one day and why not here? We have got through the group stage and PSG are next. It's a big test but it's 180 minutes of football - anything can happen." "United are a club with so much history and are capable of beating any rival. If we win at Old Trafford and we don't concede, then I think we would be favourites for the second leg." "I think we can do that and I see this United team with a lot of chances to score in Paris," the 30-year-old concluded.